It is with great pleasure that we introduce to you Turberville Cidre Bouché; a unique and almost entirely new concept within the UK Cider market. 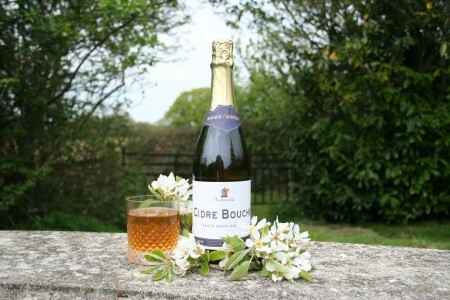 Cidre bouché, or literally 'cider with a cork' is a 100% pure apple juice cider, that undergoes two special processes during its making which see it become wholly unique to what we would consider as conventional English Cider. These are full 'maceration' of the juice prior to pressing 'keeving' which involves the removal of bitter tannins so that only the purest juice is fermented. 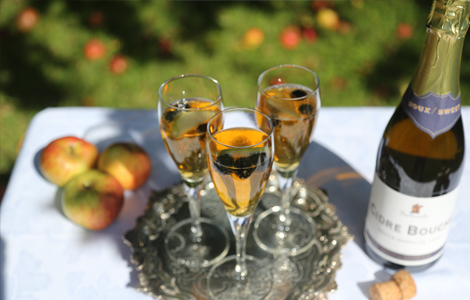 The still cider is placed in a corked champagne style bottle where rapid second fermentation occurs giving Cidre Bouch' a vibrant natural sparkle. Furthermore, throughout the process no concentrated juice or water is added; the result is a golden, full bodied Cidre that is literally bursting with the tastes and aromas of the late summer orchard. And how should I drink it? 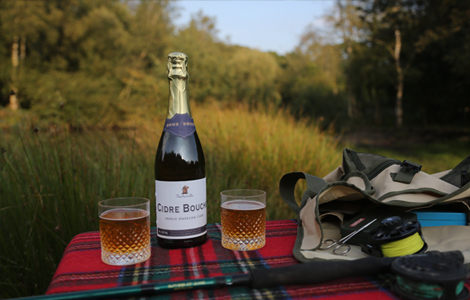 Cidre bouché is made for sharing and as cold as possible on a hot summers day, preferably over ice. We recommend drinking it from a wine glass rather than tumbler where you can swill the Cidre around to agitate those lazy summer fragrances. 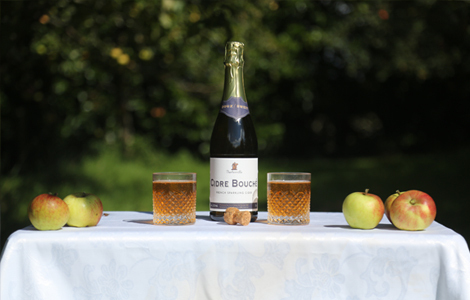 Cidre bouché can be drunk at anytime, however, its low alcohol content and highly refreshing nature make it perfect for that lunch time aperitif. 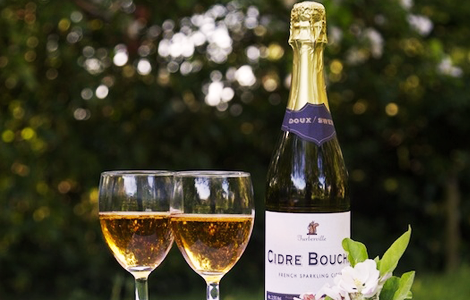 As such we invite you to celebrate every little moment with Turberville Cidre Bouch'! Our apple juice is made fresh, never from concentrate. Only locally sourced apples from the Pays D'Auge region in Normandy, are allowed to be used in the making of Cidre Bouch'. For generations local farmers and growers have collected their apples during the autumn and brought them to the Cidery for making into their special cider. At the Cidery the apples are manually sorted; bad apples are removed and only the best apples washed prior to being diced up ready for pressing. The clean apples pass through a special machine that gently breaks them into a pulp where the first piece of magic takes place; maceration. Once the apples are diced up and the juices exposed, the pulp is allowed to sit for between 12 to 24 hrs. This sitting of the juices amongst the body of the apple is known as maceration and allows for two key pieces of Chemistry to occur. Firstly, it allows for the juices to take on the full body and aromas of the apple (you really can smell the orchard on the final product!) and secondly it allows for the bitter tannins (proteins) to be drawn out and exposed for future removal. After the allocated period of maceration, the pulp is eventually pressed where the second secret part of the process is applied; keeving. Keeving (or as the French say "cuvee") see's the heavy juices being rested for up to a week under cold and dark conditions. Over a period of time the larger pieces of sediment within the juice fall to the bottom of the vat as lees, but also, the tannins (proteins) that have been exposed during the maceration now also separates from the juice and rises to the top where it gathers as a brown 'mousse' known as Le Capeau Brune (the brown cap). The result is that you are left with a fantastically clear and pure juice in the middle that contains only the very best bits of the apple; it is this very special juice that is now fermented to make the Cidre. Once the still juice has been fermented to the specifically desired alcohol/sugar level (and has become cider) it is then bottled where traditionally second fermentation is allowed to occur at an accelerated rate, which produces the light natural sparkle associated with Cidre Bouch'. 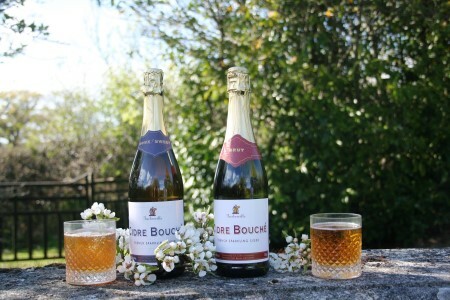 Owing to the intense pressure produced by this type fermentation, the early producers quickly realised that a stronger bottle with a wired cork was required to save explosion and hence today Cidre Bouch' is served from a corked bottle and can literally said to be bursting with the tastes of summer! 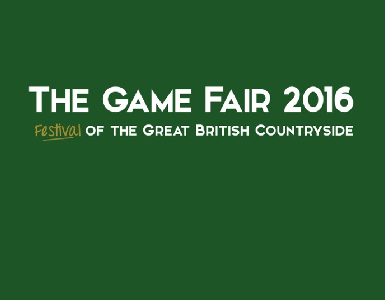 Please come and visit us and try Cidre bouché yourself. THESE TERMS GOVERN ALL OUR SALES UNLESS WE HAVE EXPRESSLY AGREED TO THE CONTRARY IN WRITING. PLEASE READ THESE TERMS OF SALE CAREFULLY BEFORE PLACING AN ORDER AND RETAIN A COPY OF THESE TERMS AND YOUR ORDER FOR FUTURE REFERENCE. 1. Minimum order is one case of 6 or 12 bottles – You can mix and match Brut and Doux bottles (subject to availability of stock) 50/50 as long as there is a minimum of 6 bottles per order. 2. Cidre bouché (UK) Ltd will not sell or deliver alcohol to persons under 18 years of age. 3. All products are subject to availability. 4. Please allow 7 working days delivery from receipt of order. 5. 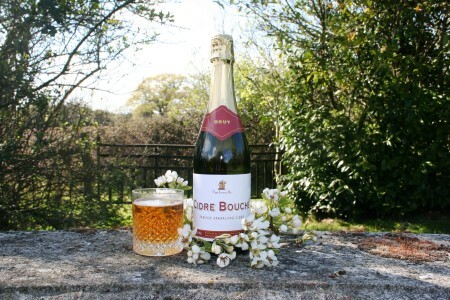 Cidre bouché (UK) Ltd must be notified immediately of any breakages, shortfalls or missing deliveries. 7. Errors and omissions excepted. Your order is an offer to buy from us. There will be no contract of any kind between you and us unless and until we accept your order we actually despatch the goods to you. At any point up until then, we may decline to supply the goods or services to you without giving any reason. At the moment we accept your order or in the case of delivery of goods, when the goods are despatched, a contract will be made between you and us. We accept Maestro, Visa, Mastercard, American Express or cheques payable to ‘Cidre bouché (UK) Ltd’ or interbank transfers (by arrangement). Orders may be delayed by transfers of money or credit card authorisations not being confirmed by the respective banks. Please note that it is the customer's responsibility to contact their bank to speed up this process if the order is required urgently. By using a specialist delivery service and specialised boxes, we have tried to ensure that your purchases arrive in the same condition they left us. However, breakages may occasionally happen; similarly, goods may occasionally be faulty. If you are not satisfied with your purchase, please notify us as soon as possible. You have the right to return unopened goods for the period of 14 days from delivery pursuant to the Consumer Contracts (Information, cancellation and additional Charges) Regulations 2013. To arrange for a return of damaged or faulty goods please contact us at [email protected]é.co.uk where a postage stamp will be arranged for you. A credit for the goods will be made within 28 days, or replacements dispatched within 7 working days of receipt of these goods, whichever you request. Prior to delivery of the goods should you decide that you no longer want to continue with the order, you have the right to cancel the order free of charge within 24hrs of placing the order. Should you wish to cancel the order upto 14 days from delivery for whatever reason, you may arrange to return the goods to us .. Such notice of cancellation should be made in writing to [email protected]é.co.uk. For Cancellations to be accepted the goods must be in the same condition that they were delivered to you and must not have been opened or tampered with in any way. Once the cancelation is accepted, the goods must be received within 14 working days from the acceptance of cancelation and a credit note will be issued to you within 14 days from receipt of the goods. You may cancel the purchase after 14 days and upto 28 days (from delivery) and the same terms of cancelation as within the 14 day period, plus a £10 (per case) cancelation fee, shall apply. Such fee shall be deducted from the issued credit note. The description and prices payable for the items that you order are set out in our price list, brochure and or website. If, by mistake, we have under-priced an item or service, we will not be liable to provide that item to you at the stated price provided that we notify you before we despatch the item concerned or, in the case where we are not despatching an item, within 7 working days of our acceptance of your order and we may cancel your order provided we refund you any payments you have made. You may agree the correct price in which case we will proceed with your order. In the event that an item has been over charged a full refund of the difference will be given. Standard service: Delivery of our goods is through our dedicated and specialised couriers and will be between 9am and 5pm Monday to Friday within 7 working days from receipt of order. This service is charged at £6.75 per case and per delivery address throughout England, Wales and most parts of Scotland. Premium Services: We offer a 2 working day (Monday to Friday) UK delivery service provided we receive your order by 12 noon. This service is offered at a charge of £14.75 per case, per delivery address. 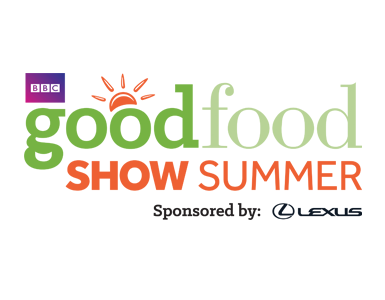 Please note that deliveries to Northern Ireland, The Isle of Man, The Isle of Wight, The Scilly Isles and some areas of Scotland are subject to a £5 surcharge. We are the owner of all intellectual property rights in our Brand and Site, and in the materials published on it, including but not limited to trade marks, designs, logos, text, images, audio and video materials, look and feel and software (including code, interface and website structure) ("Materials"). The Materials are protected by intellectual property laws and treaties around the world. All such rights are reserved. You may not remove any copyright or other proprietary notices from any Materials on our Site. § In any way that breaches any applicable local, national or international law or regulation. § In any way that is unlawful or fraudulent, or has any unlawful or fraudulent purpose or effect. § For the purpose of harming or attempting to harm minors in any way. § To transmit, or procure the sending of, any unsolicited or unauthorised advertising or promotional material or any other form of similar solicitation (spam). § To knowingly transmit any data, send or upload any material that contains viruses, Trojan horses, worms, time-bombs, keystroke loggers, spyware, adware or any other harmful programs or similar computer code designed to adversely affect the operation of any computer software or hardware ("Malicious Code"). We update our Site regularly, and may change the content at any time. Any of the material on our Site may be out of date at any given time, and we are under no obligation to update such material. The material displayed on our site is provided "as is" and without any guarantees, conditions or warranties as to its accuracy. We hereby expressly exclude: all conditions, warranties, and other terms which might otherwise be implied by statute, common law or the law of equity. We expect you to act sensibly and responsibly both with regard to the use of our site and ordering goods, and with regard to taking delivery of them. Apart from replacing or crediting (at our choice) any goods damaged in transit, we will have no liability for any direct, indirect or consequential loss or damage incurred by any user in connection with our site or in connection with the use, inability to use, or results of the use of our site, any websites linked to it and any materials posted on it, including, without limitation any liability for: loss of income or revenue, loss of business, loss of profits or contracts, loss of anticipated savings, loss of data, loss of goodwill, wasted management or office time, and for any other loss or damage of any kind, however arising and whether caused by tort (including negligence), breach of contract or otherwise, even if foreseeable. For orders of 3 or more cars please contact us directly to take advantage of our bulk buy offers. We deliver cases and half cases to most areas of the UK. Perfect for a summers afternoon, a full bodied cider that retains a lot of the apple qualities in taste and aroma. A higher alcohol delightfully dry, crisp cider and perfect for those long summer evenings. Half Brut and Half Doux. A great gift, or choice for you to try both. Please correct any errors below and try again. If you would like to know more or are interested in stocking Cidre bouché, please call us, email us, or use the contact form below.